Instructor Bill Schacht will deliver useful information through this dynamic, eye-opening, 4-hour workshop, designed for parents, grandparents, and step-parents of children ages 3 to 23 in families already separated or divorced or considering such change. 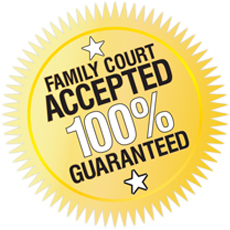 This seminar meets family court requirements for parents divorcing in Wisconsin. This is a "must hear, must understand, must act" insightful event that your child needs you to attend! Space is limited, so don't wait to contact us. Call 866-724-2000 to register today! If you have questions or need additional information, please call 866-724-2000. Download the Course Schedule Form Here. Divorce has been rough on you; it's even rougher on the kids! For Kids and Parents Navigating the Effects of Family Separation and Divorce These classes will normalize the variety of scary thoughts and feelings both you and your child are experiencing, while providing the skills needed to improve communication and effectively work through the divorce. These courses are designed to help you set yourself and your child on the best paths to achieving full potential in life and taught by professional instructors. Please note: Courses are non-refundable. Payment is due 7 days prior to the course date. There is a $25 fee for all returned checks.